It's early in the game but Donald Trump brings in his secret weapon...Ty Cobb. In a fairness, it should be noted that Trump has not hired the base-stealing legend reverently referred to as The Georgia Peach...aka Ty Cobb. 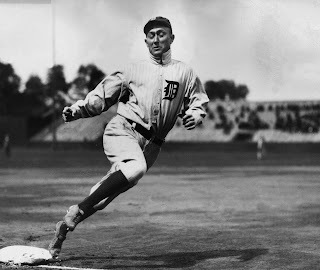 But Trump did manage to find a descendant of Ty Cobb, who happens to be a highly regarded lawyer, to rally his campaign team against accusations of Russian collusion in the 2016 election. According to Bloomberg, the younger Cobb was brought to the White House to, "enforce discipline in the White House regarding Russian matters." I admit, I'll be watching with a sense of disgust and morbid amusement as Ty Cobb goes to bat for the biggest liar to ever sit in the Oval Office. Here's a thought; do you suppose he's doing it - defending Trump - to become famous? After all, who ever heard of him outside stuffy court rooms? 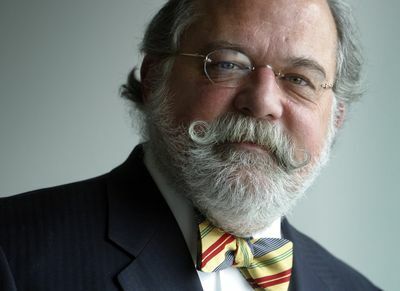 Ty Cobb the lawyer. Not too much ring to that, is there? He needed to do something that would make people remember him. Like help Trump steal the 2016 election. One caveat; there's a difference between famous and infamous. The George Peach is probably rolling over in his grave!